Tacoma Strength is a community of people united in the common pursuit of living healthy, active lives. 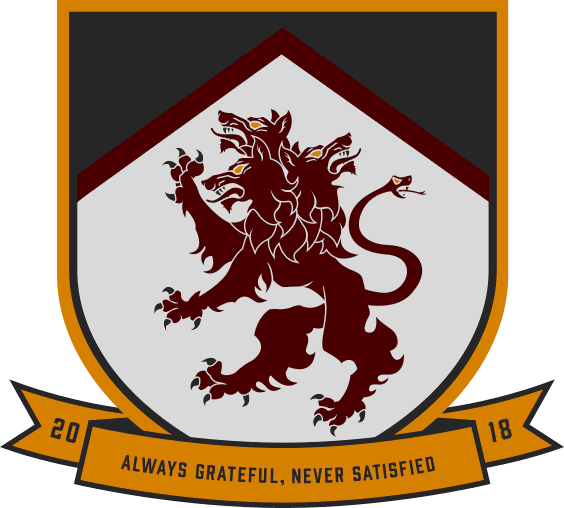 Their members are athletes with jobs, parents, and people who want to make the most of their potential. Tacoma Strength members enjoy being challenged, learning new skills, encouraging and being encouraged by others. Tacoma Strength runs small groups through the best possible strength and conditioning programs to produce well-rounded, meaningful fitness. All of their classes are led by experienced professional coaches. It’s a proven fact that you achieve more with a coach and a team. Tacoma Strength provides the best methods by the best coaches to get its members real results. Be the best at what you do, get the best to work for you. No fluff, no b.s., just hard-earned results. In short, it’s just the type of community we’re looking to build ourselves within the Co-op and we are thrilled to be joining one of Tacoma’s foremost and finest fitness families. 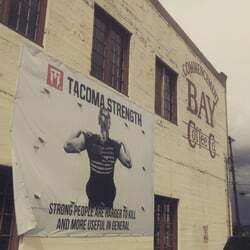 Tacoma Strength’s gym space will be available to the Hounds members and players for general fitness and conditioning work on Tuesday and Thursday, from 730pm to 9. We’ll be sharing the space with two groups already training at the gym – HEMA (Historical European Martial Arts) and Jeet Kune Do. Given the nature of the other two groups, we can’t wait to see what kind of cross-discussions regarding skill, form, and movement occur. At the Tacoma Hounds, we’re always on the lookout for new training methods, concepts, and ideas to incorporate into our own efforts. Whether it’s general fitness, specific classes, nutrition, or more, Tacoma Strength is a vibrant community of coaches, athletes, and everyday individuals looking to push themselves to be their best. 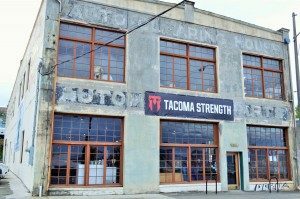 We can’t wait to get started as the newest part of the Tacoma Strength community. Check out their website, Facebook, or Instagram (@TacomaStrength) to see what’s going on at 2354 Jefferson Ave. or to set up an in-person meeting! ← The Tacoma Hounds in Ireland!